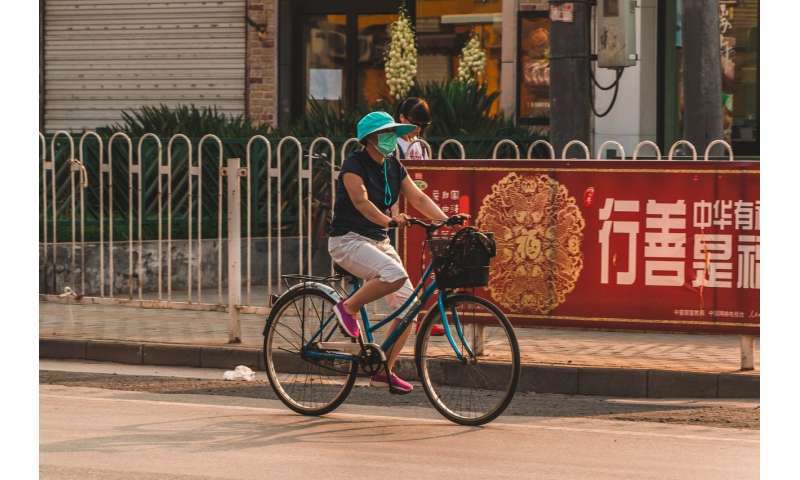 The decline in China’s carbon emissions is likely to be sustained if changes to the country’s industrial structure and energy efficiency continue, according to new research led by the University of East Anglia (UEA). As part of the Paris Agreement, China pledged to peak its CO2 emissions by 2030. In fact, China may already have fulfilled this commitment, with emissions peaking in 2013 at a level of 9.5 Gigatons of CO2, and declining in each year from 2014 to 2016. After nearly two decades of rapidly rising emissions the study, published in Nature Geoscience, shows that slowing economic growth in China has made it easier to reduce emissions. The decline of 4.2% in the years since to 2016 is largely associated with changes in industrial structure and a decline in the share of coal used for energy. Decreasing energy intensity (energy per unit GDP) and emissions intensity (emissions per unit energy) also contributed to the decline. The study authors say the peak prompts important questions about what factors are driving the current decrease, their relative importance, and whether or not the decline can be sustained or even accelerated. In particular, if China’s emissions are have fallen primarily as a result of slowing economic activity, as happened in the US during the global financial crisis, renewed economic growth could reverse the decrease. The team from UEA, the University of Cambridge and UCL, together with researchers in China and the US, explored this by assessing the drivers of Chinese CO2 emissions from 2007-2016, using the latest available energy, economic, and industry data. They warn that China’s emissions may fluctuate in the coming years and that may mean that 2013 may not be the ‘final’ peak. Indeed, preliminary figures for 2017 have shown an increase. However, the changes in industrial activities, coal use, and efficiency that have caused the recent decline have roots in the changing structure of China’s economy and long-term government policies.